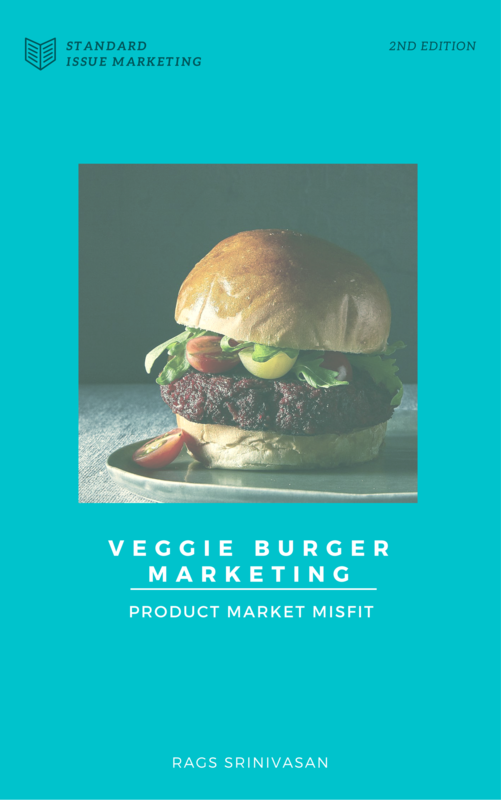 You leverage your product R&D, core competence and marketing machinery to sell as many veggie burgers as possible to as many customers as possible. What are the different contexts? What job do these customers hire a veggie burger for under different contexts? Which of these customer segments you want to target and which job-to-done do you want to position the product for? What is the best product that serves that job-to-be-done? When you fail to ask these basic questions you focus on your technology to make plant protein taste like meat. You take pride in that prowess and lose sight of customer job to be done. Having mastered the technology you fail to think why that would be important to a customer who has never tasted meat in their life. That is Veggie Burger Marketing – Taking technology expertise and ramming it through the market regardless of customer needs. You see veggie burger marketing everywhere from enterprise software to SurfaceBook. Products filled with features whether or not they are relevant to us. Products built to maximize market reach. What if you adopted an outside-in perspective? Will we have sawdust burgers, clunky enterprise software, complex storage systems, and million varieties of Febreze? This is how Amy’s Kitchen markets a burger.